DIT (Dublin Institute of Technology) is the largest provider of third level education in Ireland, with a campus that spans the city. 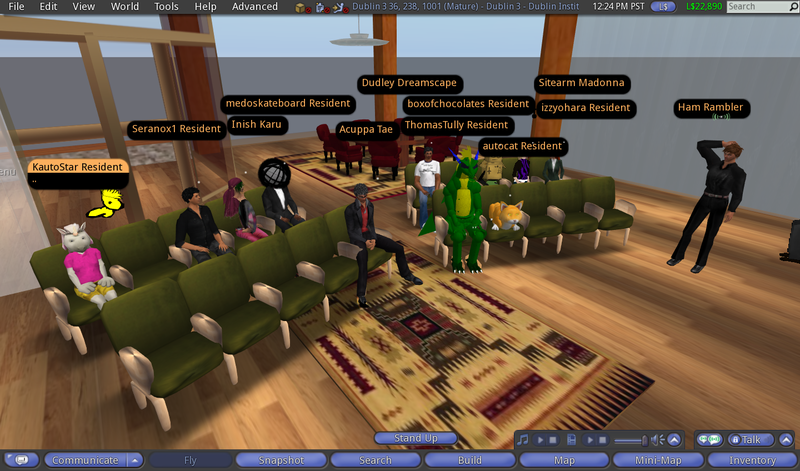 Guest lecturers at today’s IOLE Class included Ham Rambler, who covered issues of content creation in Second Life®. Ham spoke to how to give visitors an authentic feel for the city of Dublin, without totally overwhelming the limited capacity of one private island, and how to establish and maintain relationships with real world content owners, whose content has been to some degree reproduced in Dublin Virtually Live. this course has opened my eyes to so much I really had no idea or thoughts on – well worth doing!